With Autumn just around the corner any excuse to grab some sun and the last glimpse of Summer I'm there. So last month we packed up our bags, jumped on a plane and headed for Caudeval in the South of France. 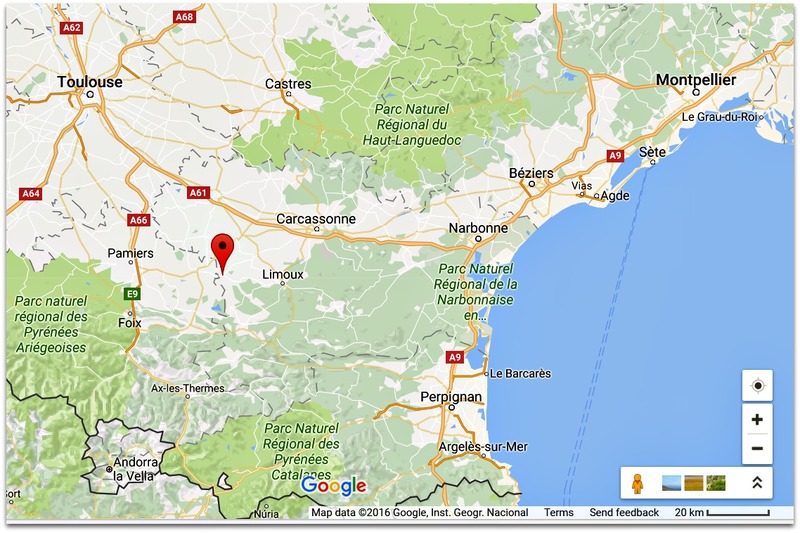 Our villa was set in the beautiful French countryside, an hours drive from Carcassonne, Foix and a short distance from the historic market town of Mirepoix. As you all know I have a love hate relationship with flying. 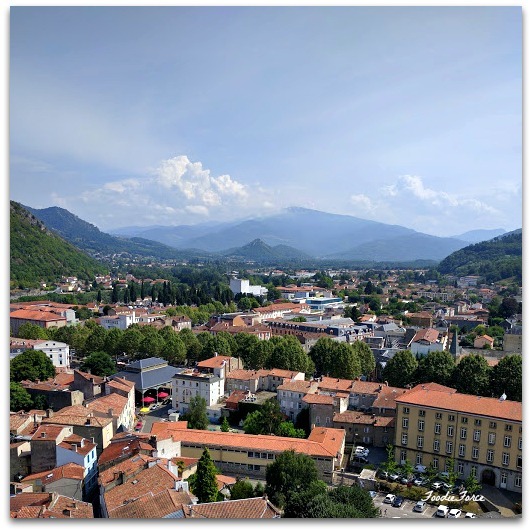 I love the end destination but the travelling I am not so keen on.Travelling abroad with Noah for the first time added another level of nervousness but I'm pleased to share that I needn't have worried. The little man was a joy to travel with, in fact he slept the entire flight! To my huge relief and those I'm sure of the passengers around us. Now we all know that sleep is not his forte so managing to pull sleep off at 39,000 feet is quite the achievement. Sadly the same can't be said for the rest of the week with regards to the sleep, but small mercies. Travelling up the gravel driveway to our villa I knew instantly we were in for a treat. The house, gardens and swimming pool were breathtakingly beautiful. Many happy hours were spent lounging around the swimming pool, whilst Noah perfected his water wings. The little man is most certainly a water baby, the temperature saw his mummy squirming and gingerly entering the water. Whilst Noah jovially soaked everyone, splashing like a 'Looney toons'. But the best bit for me was the peace and tranquillity having travelled from the hustle and bustle of London. 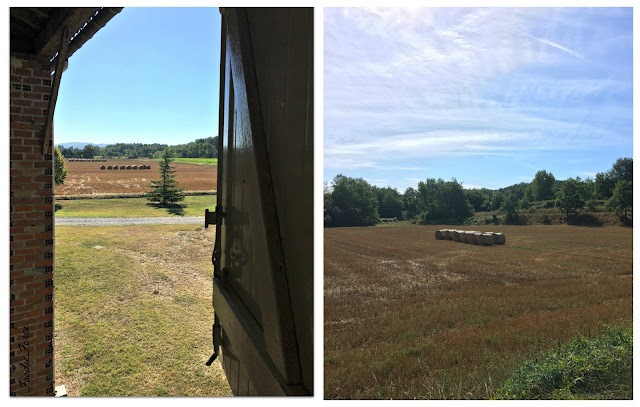 There was absolutely nothing to see for miles around the Villa, apart from the Pyrenees mountains, rolling fields, hay bales and beautiful sunsets, it was the perfect place to unwind. 1. Mirepoix: A lovely picturesque town steeped in history and character. 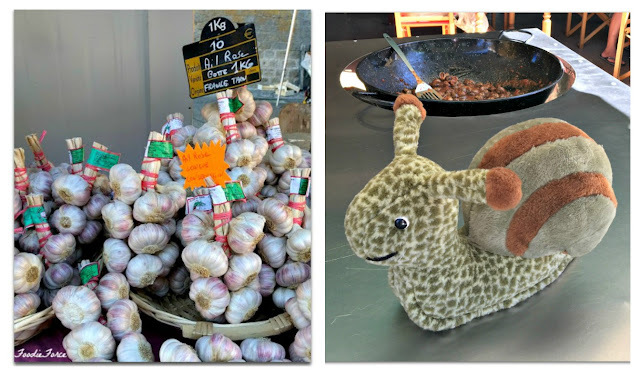 On Mondays the local town of Mirepoix holds a superb market, in fact its an absolute must if you are in the region. 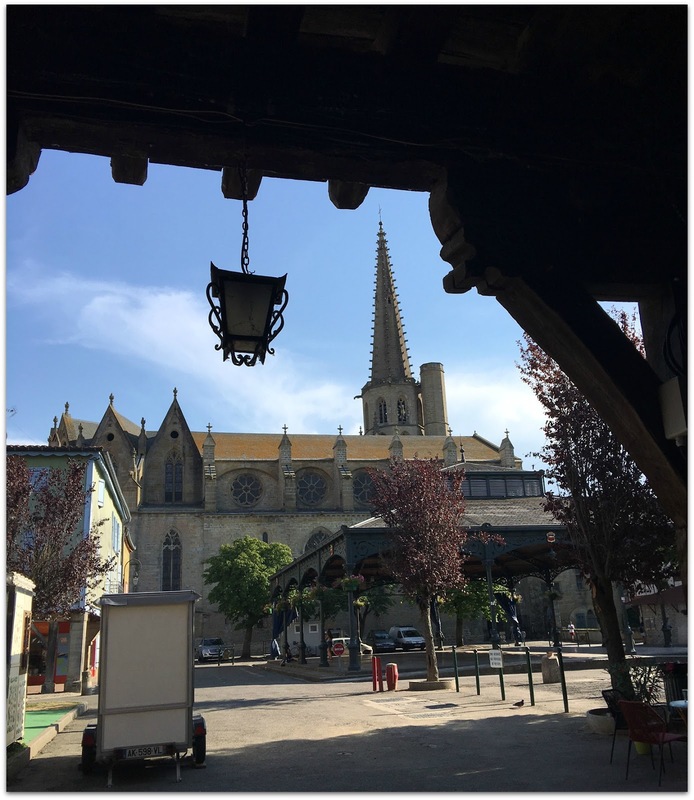 It is all set in a picture perfect little town with beautiful medieval half-timber coloured houses with beautiful carved sculptures, restaurants and shops. 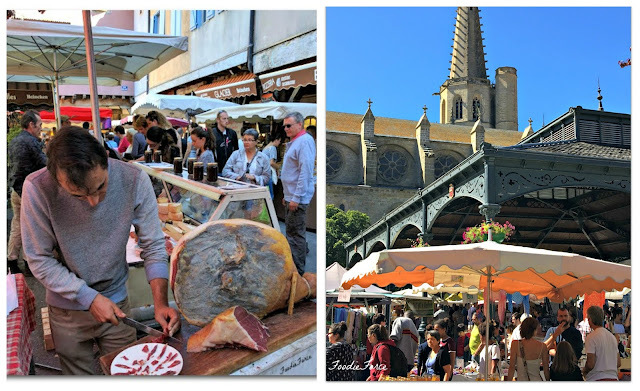 The market offers several wine vendors, a wonderful variety of local cheeses, cured sausages, fresh fish, olives, vegetables, snails and other local specialities. You will have to arrive early as it gets very busy and the cafes become a hive of activity. It's a great idea to get there early and have a yummy breakfast in one of the quaint restaurants. It has an awe-inspiring cathedral that oversees the proceedings of the market town, taking centre stage in the town square. It definitely rates as one of the best markets we have been too in France. Another wonderful place to visit is Carcassonne, a 12th century fortified town, filled with wonderful restaurants, shops and a superb rampart. 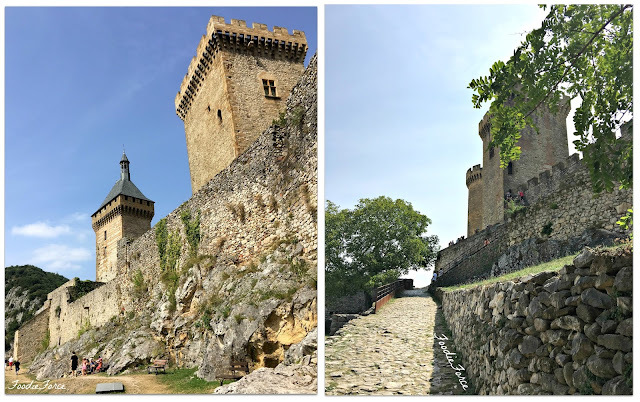 A perfect medieval castle that looks just like something out of the pages of Sleeping Beauty. You could easily spend a day wandering around the lanes, shopping and building up an appetite to eat. Its the perfect place to sit outside a cafe and people watch. 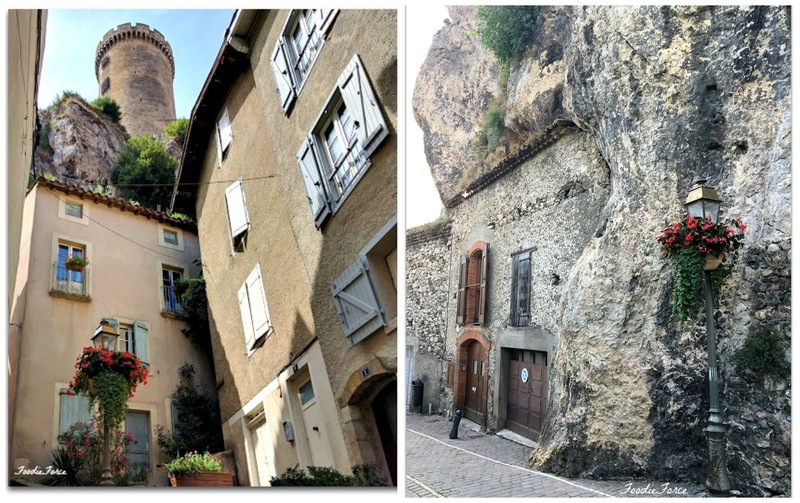 Foix is breathtakingly beautiful with its picturesque town and formidable castle that takes centre stage in the town. 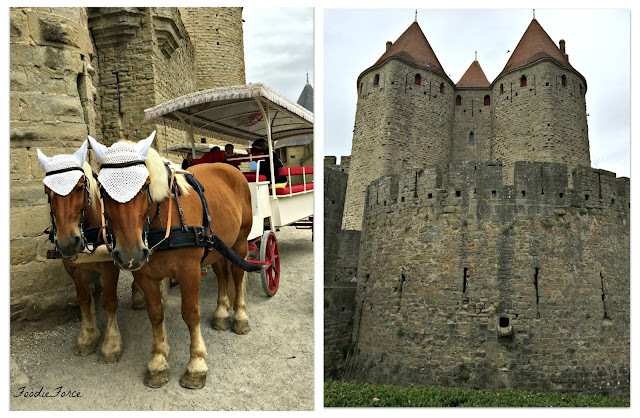 The town is the perfect place to have lunch and then walk it off visiting the castle. Make sure you wear sensible shoes and those with little ones in a buggy, a baby carrier is a much better choice due to all the hills and cobbles. The views from the castle are breathtaking completely worth all the hard work getting to the top. All in all we had a wonderful first holiday together. There was no down time like in previous holidays so reading a good book in the sunshine was out of the question with little Noah, but all in all we had good fun and more importantly we would do it all again. Noah however was not so keen on returning home, he did a small sit in protest about returning home. 1.Feed your baby on take off and landing, it works a treat for helping with their ears. Take a bag of toys on board so that your baby is entertained. Depending on their age small books, rubber bath toys (which have a dual purpose), stickers and puzzles are all great. 2.Take a lightweight buggy and bag protector to protect it in the hold or overhead locker in the case of the Yoyo. 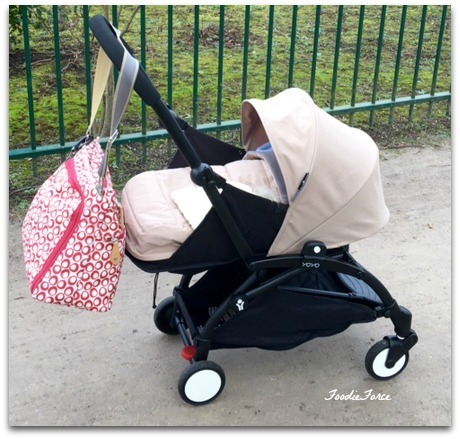 I am still loving our Yoyo+ pushchair, definitely one of my best purchases. 2.Take a sling, useful for so many situations. Travelling around the airport when you need your hands, outings and most importantly naps. I love the BabyBjorn Miracle Baby Carrier we bought. 3. 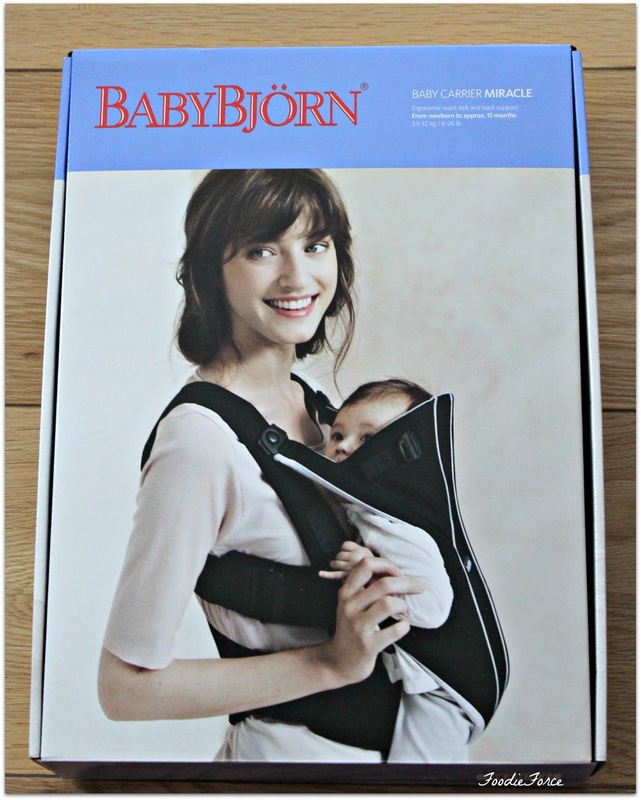 Take a sunshade for the pushchair, this will mean that your baby can sleep whilst out and about. I have absolutely loved the Snooze Sleep Shade and got so much use out of it this Summer. 4. Portable highchair: Sometimes your little one will not want to go in a highchair. The Phil and Ted Wriggle Wrapper is perfect you can tie it to yourself so that your baby is secure but you still have your hands to eat and drink. It can also be used if your little one falls asleep on a bed to secure them. Where did you end up this summer? Share your adventures in the comments below. Ahh, sorry to hear he's still not sleeping great! He's a adorable though. 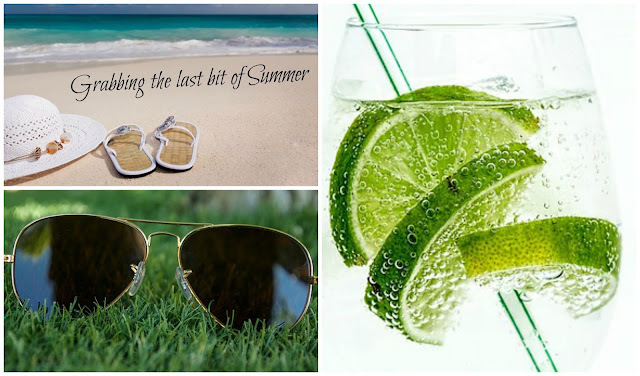 Your holiday looks like loads of fun. Ahhh he's grown so much! Just look at that gorgeous cheeky little face! So glad he was well behaved on the flight, hopefully he'll learn to sleep off planes soon! Ahhh a lovely post! I am so glad you found time to write this. We did fly to Moldova with our little NIkita when he was 2 months old and I was worrying about it, but he was sleeping for the whole flight. Noah is sooooo sweet, I love his curly hair and his little face is too adorable! loved your little angle most swimming in water ,he is sooooper cute and adorable .May you see his happy and healthy growth amen. Despite having lived in France, I hadn't heard of Caudeval - it looks lovely and how Noah has grown! Awh Noah in the suitcase is so adorable!! Great that he managed to sleep on the way there. I haven't explored this part of France put it looks beautiful.